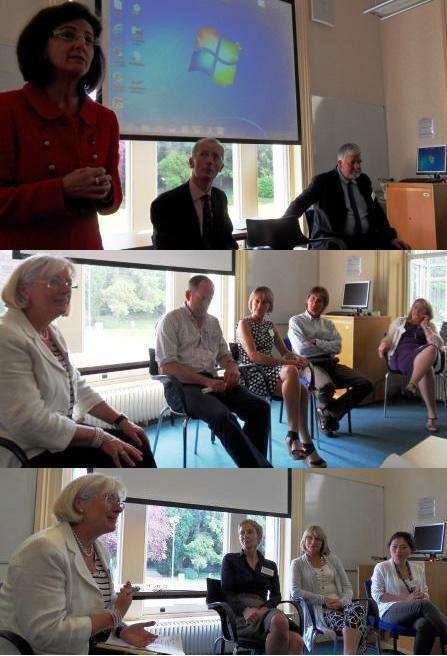 A workshop titled ‘Facing the Future: Education for Sustainability in Higher Education’ was held at the University of Gloucestershire on 25 June 2013. The workshop explored ways of reframing the curriculum and education while providing opportunities for discussion on the potential of EfS and its role within the future HE landscape. It was informed by the findings and experiences from the six projects funded under the University’s Learning for Sustainable Futures awards scheme in 2012-13, which investigated ways to understand and embed Education for Sustainability (EfS) principles in the curriculum and student support. Ann Finlayson, Director of SEEd (Sustainability and Environmental Education) and former Commissioner for Education and Capability Building for the Sustainable Development Commission, facilitated the interactive sessions. The Learning for Sustainable Futures scheme supports the University’s commitment to progressing EfS as an educational priority, as reflected in the Strategic Plan 2012-2017. It is a joint initiative of the Sustainability Team and Teaching and Learning Innovation. Please note that this event has been cancelled due to reasons beyond the control of the ESI. A workshop titled ‘Development and Change in India’ will take place at the University of Essex (Room 4S.6.28 in Colchester Campus) on 26 June 2013. Part of a collaboration between The Essex Sustainability Institute (ESI) of the University of Essex and Jawaharlal Nehru University New Delhi, this workshop will explore how communities adapt and navigate the complex terrain of ‘development-induced change’ with a focus on India. Papers will be followed by facilitated roundtable discussion and a post-event dinner courtesy of the ESI. The event will be facilitated by Professor Steffen Boehm and Dr Zareen Bharucha of the ESI. 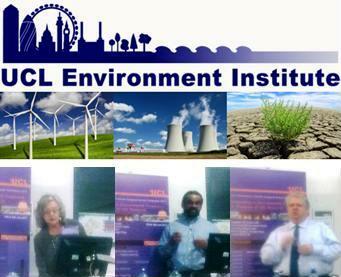 The inaugural Annual Conference of The Environment Institute of University College London (UCL), titled ‘Responding to Environmental Complexity: A Showcase of UCL Research,’ took place on 17 and 18 June 2013. Day 1 opened with an introduction/welcome by Professor David Price, UCL Vice-Provost (Research). Three sessions on Climate, Ecology and Risk followed. The day ended with a keynote lecture on ‘Denaturalising nature’ by Professor John Law, Professor of Sociology at the Open University UK. Bringing the conference to a closure, Professor Price emphasised that universities should generate wisdom, that is, judicious application of knowledge for the good of humanity. He highlighted how UCL is delivering this through its four Grand Challenges of Sustainable Cities, Global Health, Intercultural Interaction and Human Wellbeing and revealed that the Environment Institute would be expanded further to an ‘Environment Domain.’ Finally, he led a round of applause for the UCLEI team, including Professor Rydin and Marianne Knight (Deputy Director). The two-day conference came to an end with the launch of Professor Agyeman’s latest book Introducing just sustainabilities: Policy, planning and practice amid a drinks reception. A workshop titled ‘Facing the Future: Education for Sustainability in Higher Education’ will be held at the University of Gloucestershire on 25 June 2013. This event will be informed by the findings and experiences from the six projects funded under the University’s Learning for Sustainable Futures awards scheme in 2012-13 in order to investigate ways to understand and embed Education for Sustainability (EfS) principles in the curriculum and student support. The workshop will explore ways of reframing the curriculum and education while providing opportunities for discussion on the potential of EfS and its role within the future HE landscape. 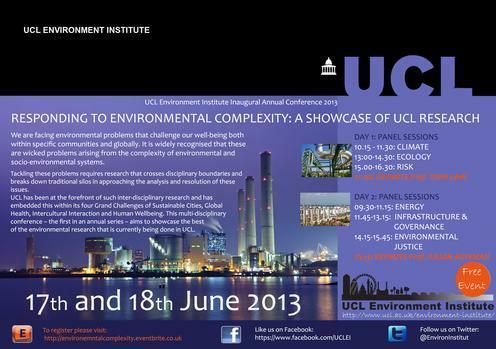 Environment Institute of University College London (UCL) will hold its inaugural Annual Conference 2013 at UCL on 17 and 18 June 2013. UCL has embedded inter-disciplinary research within its four Grand Challenges of Sustainable Cities, Global Health, Intercultural Interaction and Human Wellbeing and this conference will showcase the best of its current environmental research. Day 1 will comprise three panel sessions on Climate, Ecology and Risk, followed by a Keynote Lecture by Professor John Law. Day 2 will comprise three panel sessions on Energy, Infrastructure & Governance, and Environmental Justice, followed by a Keynote Lecture by Professor Julian Agyeman. A poster exhibition will be also take place throughout the event. The Sustainable University News and Info website reached two milestones last week – 100 posts and 4000 hits. One of the seven satellite websites of The Sustainable University One-stop Shop, this website was launched in December 2011. It publishes news related to Sustainability in Higher Education (SHE) and Education for Sustainable Development (ESD), mainly with a UK focus. The posts are tagged so that they could be searched using key words such as names of universities. Although it is meant to be part of the wider Sustainable University One-stop Shop experiment, this news and info website has now grown to be a popular resource for news on SHE and ESD, particularly in the higher education sector in the UK.